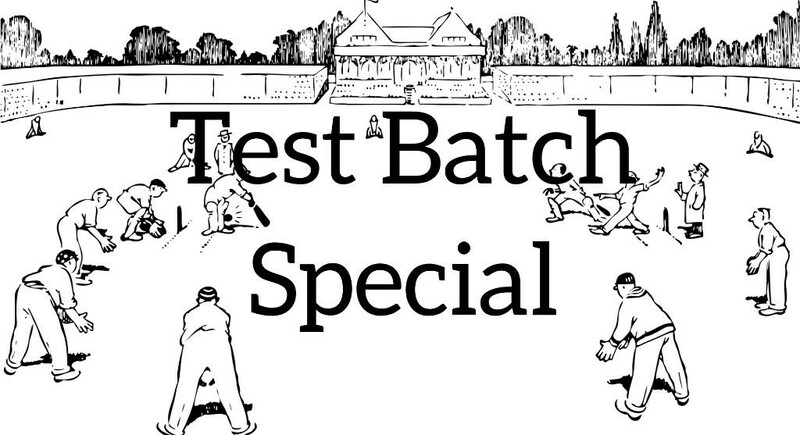 Test Batch Special is a semi-improvised comedy drama set in a cricket commentary booth featuring a whole cast of guest characters that nobody on stage knows anything about. Its the long awaited England versus New Zealand Test Match - or the "Lashes" - and Beaver Bassenthwaite and Suzie Redmonds, are as ever here to provide you with ball by ball commentary. Every slip catch, every reverse sweep and every badly sung version of Sweet Caroline, they're here to soothe your radio airwaves. But with Beaver considering retirement, Suzie contemplating management consultancy and a ball-tampering scandal involving the CIA, will cricket ever be the same again? 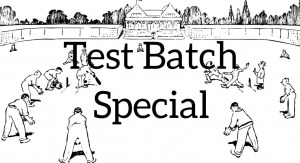 Partly written, partly improvised, Test Batch Special is about what happens when a tightly written script dissolves into chaos in front of your eyes and still manages to seem more professional than an England batting collapse.